You have reached the right website if you are looking for home security systems in Burbank, California. When a company has been able to withstand the test of time in a particular area, you know that they have consistently satisfied their clients. We have been building our business on a commitment to quality work at affordable prices since 1987, and we are not slowing down any time soon. This Los Angeles County city is widely recognized as the epicenter of the media universe, and it is certainly an exciting and interesting place to live. That’s the good news, but the bad news is that crime is not uncommon in town. Video surveillance cameras and burglar alarms are very important for local homeowners, and this is where we can enter the picture to provide you with total peace of mind. 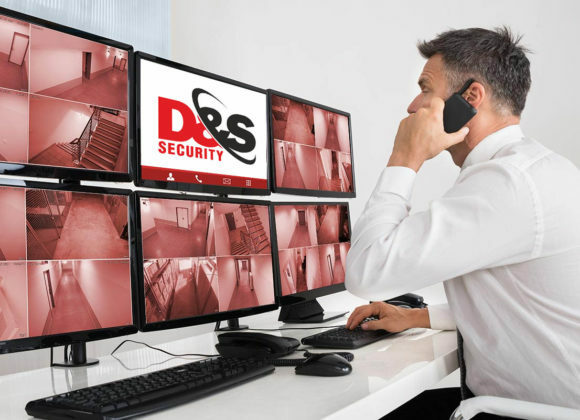 If you live in the Scott Road/Haven Way section, Vega, the North Hollywood Way/West Clark Avenue area, or any other part of the city, for video surveillance cameras and alarm systems in Burbank, California, D&S Security is the only way to go. In addition to the residential security systems that we offer, we are the leading resource for commercial burglar alarms and security camera systems in Burbank. When you are monitoring everything that is taking place in your facility, you can detect theft, and the existence of the security cameras will deter thieves. You can also look at footage to see exactly how your employees are treating your customers, and these reviews can be used to monitor employee productivity. Your investment in a CCTV system will pay for itself over time, so you have everything to gain and nothing to lose when you engage us to complete a surveillance system installation project. Our expertise extends into the realm of access control systems, and we offer a number of options. Proximity card readers are very popular because they are cost-efficient and highly effective. Some people prefer numeric keypads, and we offer biometric access control systems that are triggered by physical characteristics. To complete your comprehensive business security package, you may want to add a commercial fire alarm system. We can evaluate your facility and make the appropriate recommendations, and we also provide fire alarm system monitoring. Now is the time for action if you have been rolling the dice with unprotected residential or commercial property. You can speak with one of our knowledgeable Burbank, California home security system specialists if you give us a call at 800-521-1958. If you would prefer to get in touch electronically, simply send us a message through the contact form on this website.